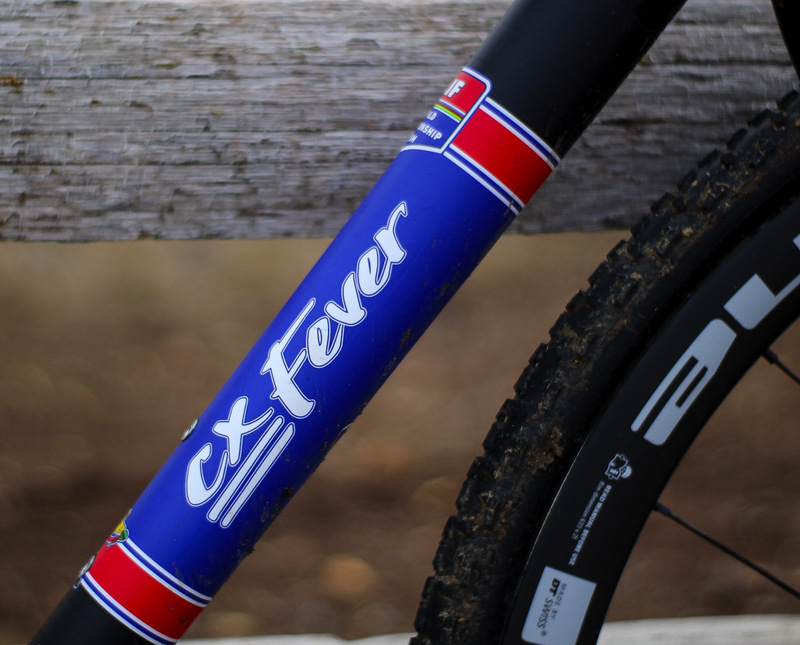 With the growth in gravel-oriented bike offerings, cyclocross bikes from major manufacturers have taken a turn from do-it-all machines to more race-specific bikes in design, or at least marketing. 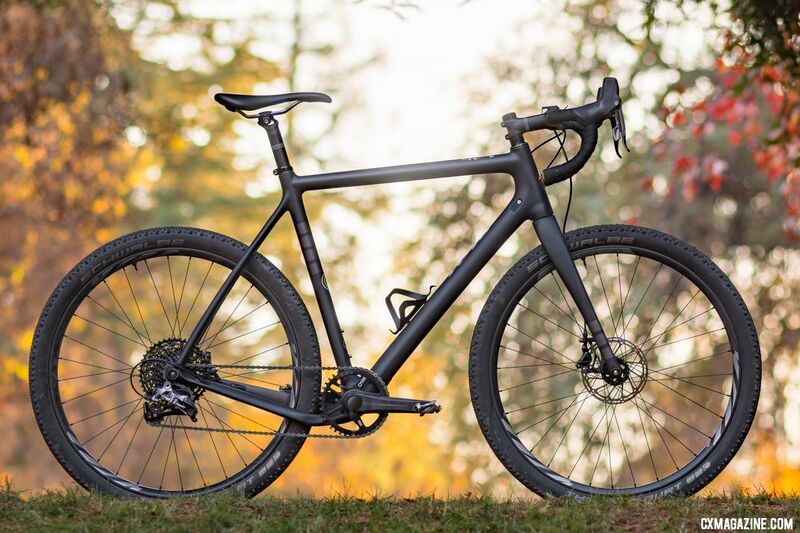 Cannondale, Trek and Specialized all have turned their cyclocross bikes into top-level UCI-compliant rigs and then turned out several gravel-specific bikes in hopes of capturing a share of that growing market. Whether that reflects how many of us ride the bikes is debatable, but for-profit companies can’t be criticized for wanting to chase trends and sell more bikes. 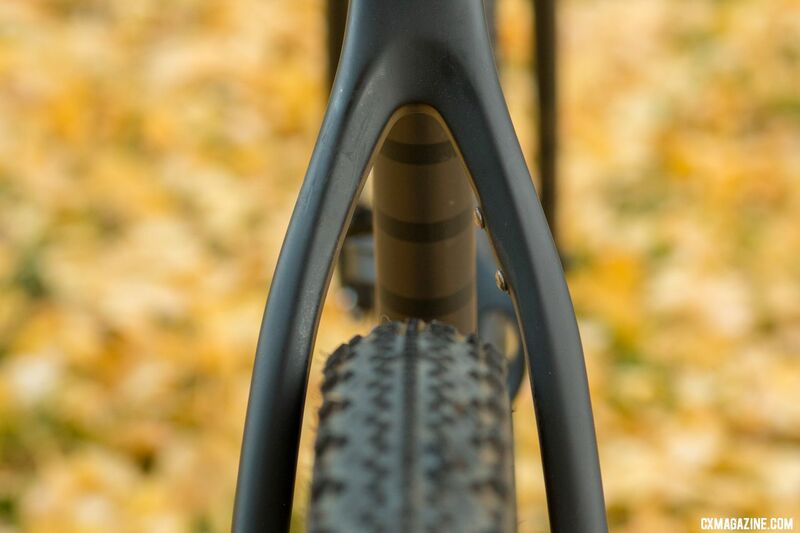 Smaller brands might not have the resources to offer drop bar models specific to every type of off-road surface and thus some design and offer versatile bikes that are intended to race cyclocross and tackle gravel in their respective seasons. Ibis’ latest redesign of its drop bar offering, the Hakka MX, represents such an approach, with 700c and 650b wheel compatibility, huge tire clearance and a race-oriented geometry. With the Hakka MX’s verstile approach, we have put it to the test for cyclocross racing and gravel grinding. Does it fit the bill for riders looking for a versatile bike for both ’cross and gravel? Find out in our review. What the heck is a Hakka MX? 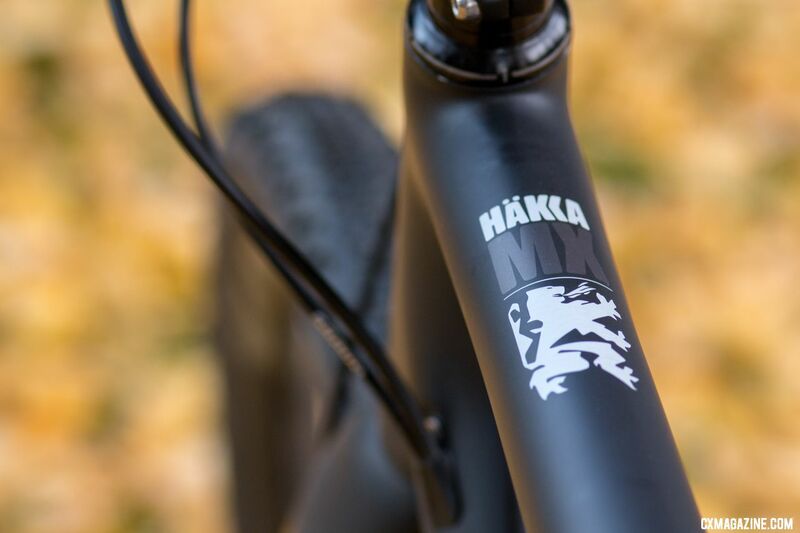 “Hakka” is short for Hakkalugi, the company’s fun name for its past line of steel and carbon cyclocross bikes, and MX is short for monster cross. Former cyclocross pro, Baby Masters national champ and Ibis engineer Andy Jacques-Maynes’ goal was to keep the company’s tradition of having race-oriented cyclocross bikes while adding compatibility for the bigger 650b gravel wheels and tires. Did he succeed? The previous carbon Hakkalugi disc brake frame certainly had plenty of success, as the Clif Bar and Luna team took the Orbea or CX-Fever-branded bikes to World Cup and World Championship podiums, while Don Myrah piloted the frame to Masters National Championships and Masters World Championships. Now the Hakka MX holds up that heritage while dropping its right chainstay, in a similar style of the Open Cycles U.P. and U.P.P.E.R. Compared to the U.P., the MX takes a more-is-better approach with tire clearance, pairing the dropped drive side with a slightly long 43cm effective chainstay length to help 27.5 x 2.1″ or 700c x 42mm tires spin free. Don’t think you’ll need that much volume for your riding? The upside is that there’s massive mud clearance (with a small catch, more on that later). A 55cm top tube Hakka has a head tube angle of 72 degrees, 7cm bottom bracket drop and wheelbase of 102.1cm. Comparatively, the Open U.P. has a slacker head tube angle and shorter wheelbase. The stack of the Hakka is 58cm and the reach is 38.2cm. Jacques-Maynes also gave the Hakka MX the expected updates, with thru-axles front and rear (both 12mm) and flat mounts for the disc brake calipers. There are the expected ports for Di2 wires, shift cables, brake hoses. You could even drop in a dropper post if that’s your thing. One unique frame feature is the T47 bottom bracket shell—something we’ve only seen on metal bikes until now. Jacques-Maynes opted for the 68mm-wide, oversized threaded bottom bracket shell because it accommodates every crank, and the threaded cups resist creaking more than press-fit cups. The downside of such a choice? It prompted a ton of questions from prospective buyers. 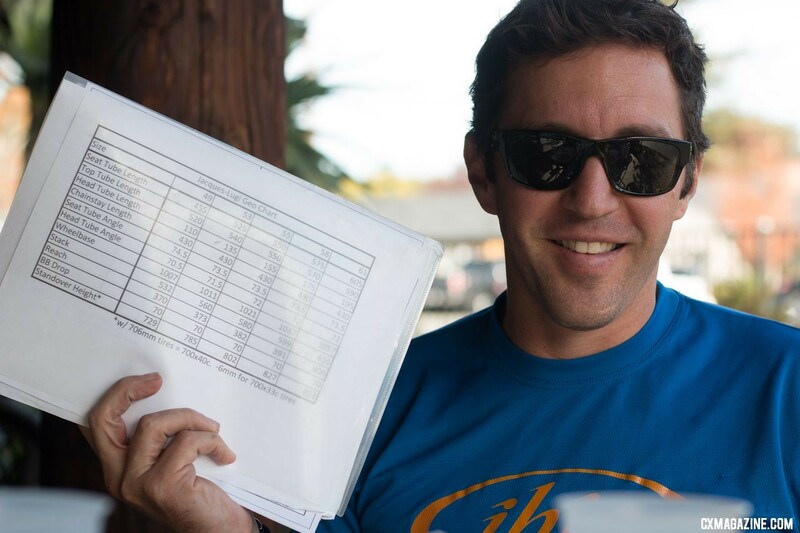 So much so that Jacques-Maynes created pdf to explain all the variables. The Hakka MX might have gotten fat with its tires, but has gotten skinny on the scale. 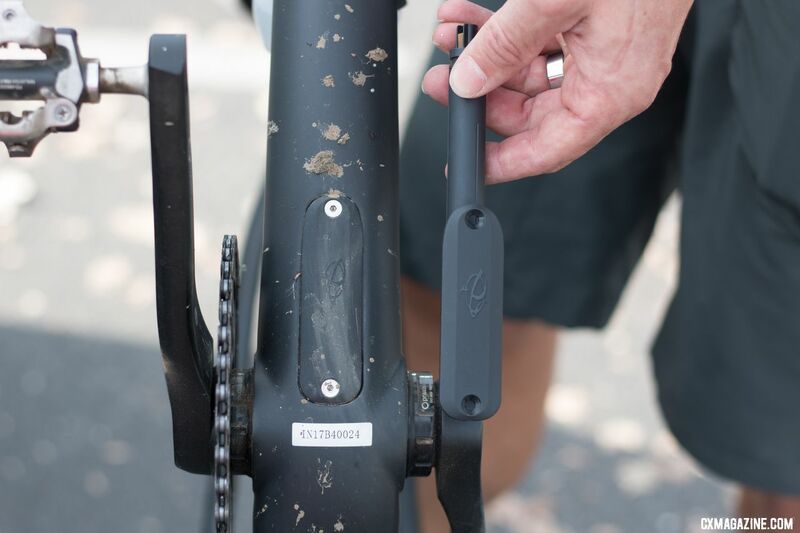 Jacques-Maynes says the new MX frame tips the scales at just 1,000g. His goal was not to build the lightest frame available, but for long-time Ibis rider Myrah, the weight savings might be the most notable change out on the cyclocross course. “It’s so light!” Myrah exclaimed when we asked him about his new rig, after his unlucky but impressive ride in Reno at Nationals to finish second. Ibis sells the Hakka MX as a $1,999 frameset or as a complete bike with either a SRAM Rival 1 or with a Shimano Ultegra/XT Di2 1x drivetrain. Prices vary based on the wheel option. The most affordable build pairs Rival 1 with alloy Ibis (650b) or NoTubes (700c) wheels and retails for $3,299. 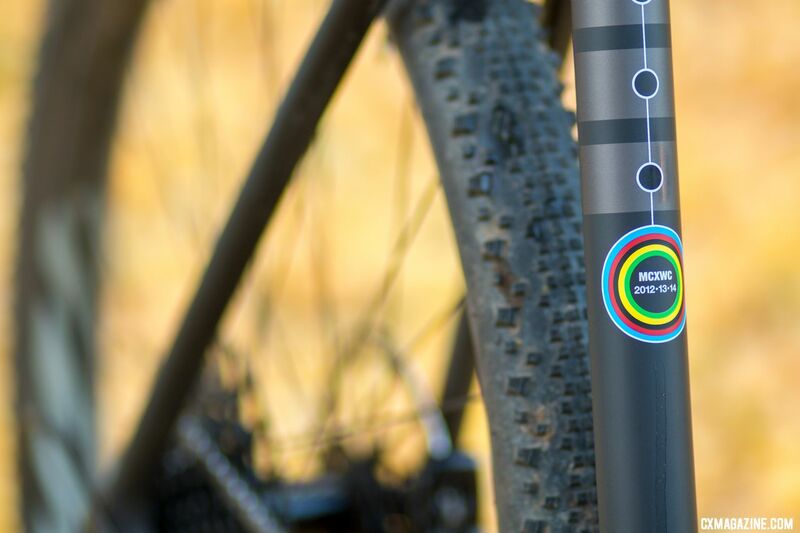 With Ibis carbon hoops, it bumps up to $4,099 like our test bike. Want the Shimano option? Ibis’ carbon wheels come standard with the $6,499 build. 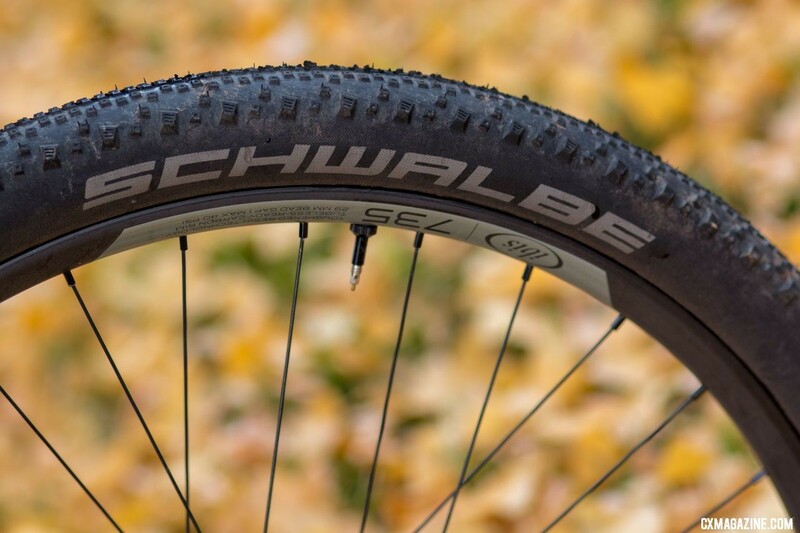 Built up with 650b/27.5 x 2.1″ Schwalbe Thunder Burt tires, the bike lived up to its MX name, even if it doesn’t meet Matt Chester’s narrow definition of Monster Cross wheel diameter and tire width. With the high-volume 650b rubber, the Hakka MX isn’t a monster on the scale, coming in at just 18.6 pounds. If you pick 700c wheels, the bike comes complete with Schwalbe G-One 40mm rubber, a nod towards the gravel orientation of the build. With the 700c carbon hoops and Islabike Greim tires, it weighs a svelte 17.0 pounds. Want cyclocross tires? Buy your own. Even though the geometry has hardly changed from the previous Hakkalugi cyclocross model, it’s interesting that none of the build options offer cyclocross tires. That’s more reflective of market trends than capability. 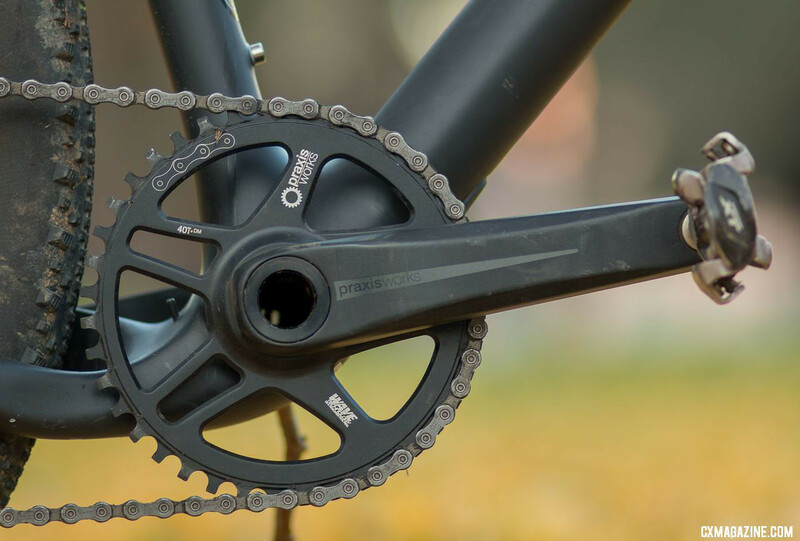 All models are powered by the Praxis Zayante cranksets, with the Rival 1 getting the alloy version and the Shimano version getting carbon. Our first test ride came in the form of chasing Jacques-Maynes throughout our local network of trails, while piloting the Hakka MX rolling on 700c wheels and Clement (now Donnelly) rubber and inner tubes. With such a setup, the bike’s handling felt neutral and quirk-free. Familiar trails felt familiar, and thanks to the lightweight frame, painful hills felt a bit less painful. Jacques-Maynes left a test bike with both wheel sizes, and the smaller bead diameter, larger volume tires begged for an oversized share of test time. When the rains eventually arrived, we took turns on the Hakka MX with both the stock tubeless Ibis D30 700c wheels and a pair of carbon tubulars. Swapping out the fat 650b wheels and tires for 700c hoops with Islabike Greim tubeless rubber saved 1.6 pounds, some of which was due to the smaller road cassette instead of the 11-42 cassette on the 650b hoops. Especially with the tubulars, any lingering signs of the monster were gone. 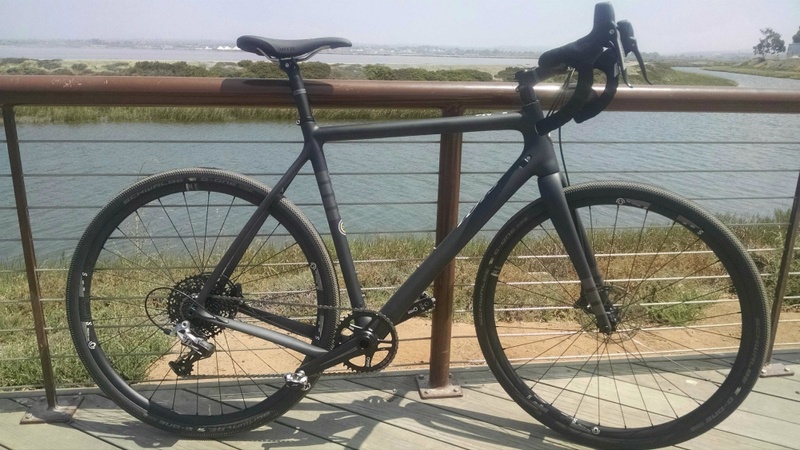 The bike accelerated more like the bird the company is named after, and rode like a capable race bike, with faster steering than the slacker bikes we’ve seen from Cannondale and Kona. It was a stark contrast to the equally-versatile, shorter Diamondback Haanjo 5c EXP adventure bike, not necessarily just because of geometry but because of the Haanjo’s triple crankset and barcon shifters. For most rides, we opted for 40mm+ 700c rubber, which might be the configuration where the Hakka MX best lives up to its name and shines the most. Sure, it can take fat tires and smaller wheels, but most owners won’t have two sets of wheels and would be well-suited to grab a 42mm WTB Resolute, 40mm Vittoria Terreno Mix or Wet or 38mm Ritchey Megabite and ride it like that in training and racing for all but the muddiest races. The Hakka MX’s ability to clear big 700c rubber is really what proves its versatility as a race bike, gravel bike or do-it-all ride-anywhere bike. With big tires, it lived up to its Monster Cross name and exceled in singletrack and gravel paths, and should you come across an unrideable hill or log, the bike sits lightly on your shoulder like any good cyclocross bike should. With narrower rubber, it sits lower and is ready to race. While we’ve heard the Clif Bar team will not be racing the updated frame, it’s ready for World Cup courses and World Cup-level power. The frame and fork are plenty stiff in acceleration and sprints, and there’s ample mud clearance around 33mm tubulars for the worst Belgian mud. With lightweight tubeless tires and 700c carbon wheels, the bike tipped the scales at just 17.0 pounds, and accelerating between the tape, it turned into a race-ready bike that rivals any race-specific machine. Any bike has compromises, and the Hakka MX has just two that we picked up on. 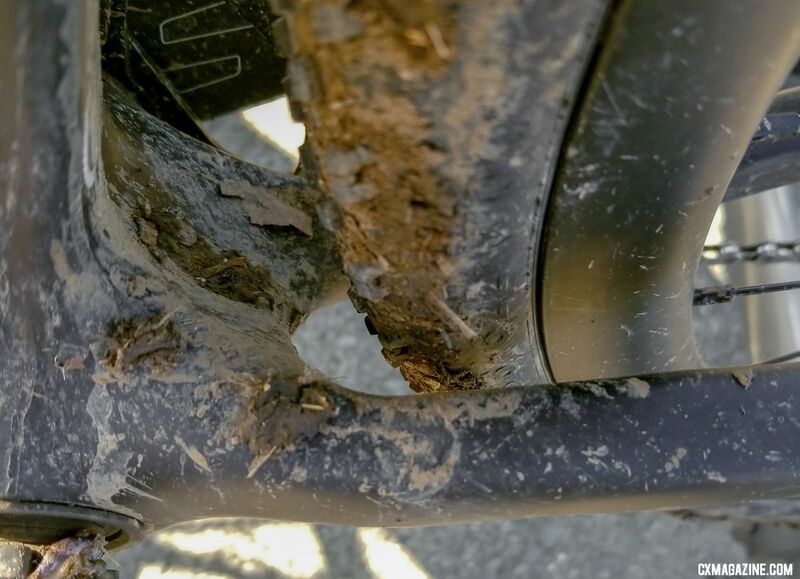 On muddy days, it leaves you with more memories than you probably want due to the shelf behind the bottom bracket. 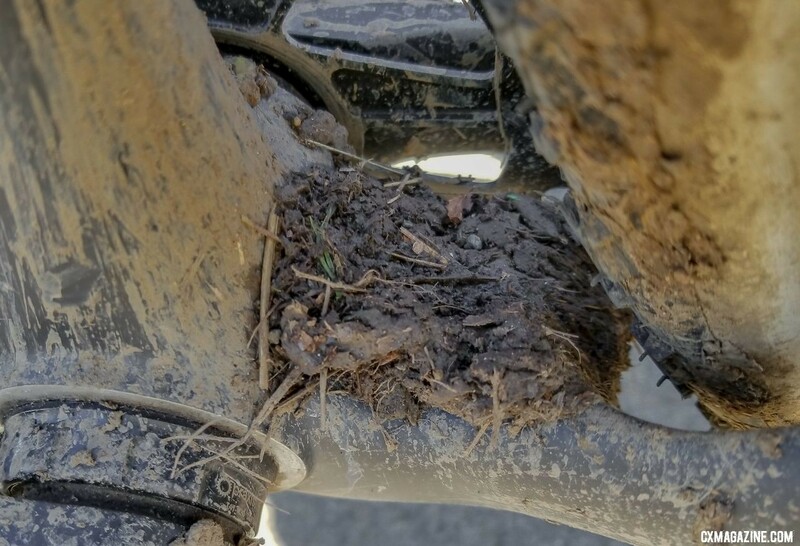 It’s not a show stopper or wheel stopper for most wet conditions, because there’s so much clearaance back there, but get into some peanut butter and it could become a sticky or extra crunchy, situation. Below you can see the Hakka MX and the Open Cycles’ U.P.P.E.R. after rides in the exact same conditions (swapping between them in one race). 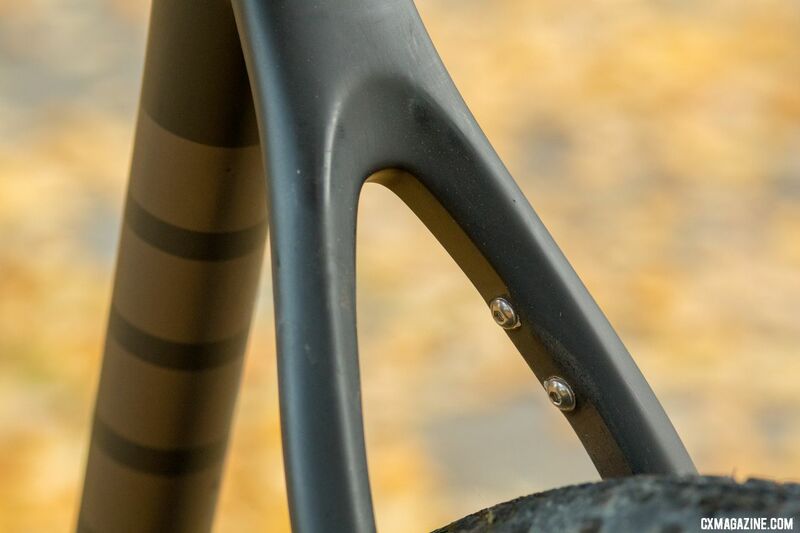 The other compromise you’ll find is that the cost of such tire clearance is that the Hakka MX might not become your favorite grass crit machine or road bike due to its slightly longer 43cm chainstays. They’re not long, really, as they are on par with the Kona Major Jake and other machines and just a half centimeter from the standard 42.5cm. The Open Cycles frames tuck in their rears with just 42cm short chainstays, but a bit more restricted tire clearance. While there’s room for improvement, it’s hard to rattle off other race-worthy bikes that offer equivalent versatility. Rough bumpy courses? We reached for the Hakka MX. Nationals title (or potentially getting lapped by the eventual winner) on the line? The Hakka MX took a slot in the two-bike quiver. Lining up last for a 100+ singlespeed race? We picked the Hakka MX with the Rival derailleur as a tensioner in attempt to slice through traffic. And if we’re really being honest, it would have been our pick for rough gravel races like the Lost and Found, if it didn’t have to be returned before then. While a second set of wheels is usually cheaper than a second bike, true versatility is having a bike that can handle almost any type of riding with little compromise and just a swap of tires. The Hakka MX aces this test. While we doubt it will start a Craigslist bike purge, it will likely become the garage monster the rest of your quiver fears. For more on the Hakka MX, see the specs and photo gallery below. Any issues with Post Mount vs Flat mount on the front fork? I would like to run this frame 2X Ultegra, would have liked a flat mount front fork. We only tested it with SRAM so can’t speak from experience with Shimano flat mount and this fork. It is an ENVE fork though, and many people have paired it with Shimano brakes. Ordered one on Monday – will use two wheelsets. 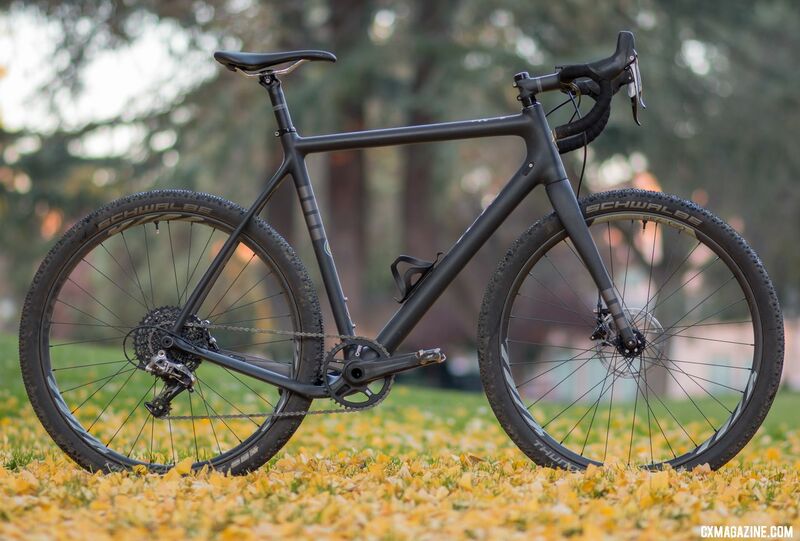 …yet another beautiful carbon gravel / adventure bike that [presumably] happens to not be rack-compatible:I imagine, if it was, you’d mention it in the review. Thankfully, there are alternatives WITH rack mounts. Correct, it has fender mounts though.